Winter's end is the time of year when people attend to spring cleaning. People get busy washing windows, wiping down their walls, and having their carpets and mattresses deep cleaned. It is also the time of year when people clean up their yards and get ready for the summer months. Raking, trimming tree branches and even cutting down whole trees may be part of the yard cleaning process, but results in yard waste that needs to be removed. In addition, if you are purchasing a home, apartment complex or even a business then you may need to clean up the yard waste left behind by the previous people. While cleaning up your yard or business grounds may be easy disposing of the accumulated yard waste may not be. Hiring a dumpster may work for bags of leaves, but larger branches or tree stumps may not be a good fit and may be expensive to dispose in the long run. 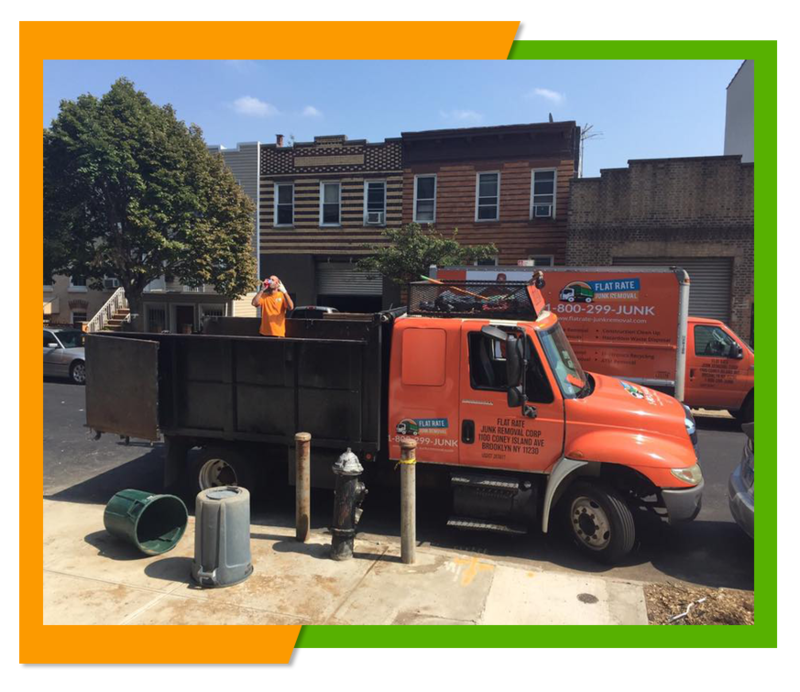 Hiring a professional junk removal company to get rid of the results of your yard clean up is the simplest way to get rid of all of your yard waste for an affordable price. Here at Flat Rate Junk Removal we can take of all of that yard waste for you no matter how small or large a load you may have. It doesn't matter if you have a small batch of yard waste from your yearly seasonal cleanup or if you have years of yard waste you are looking to get rid of our two man crew will come to your location and load up those bags of leaves, tree branches and other yard debris and haul them away for you. We'll do all the loading for you simply tell us what you want gone and we take care of the task for you. If you are doing yard work as part of your spring clean up, then chances are that you also have debris from you home that you want to have removed. We can take of that waste as well, since we offer the option of us carrying mixed loads. 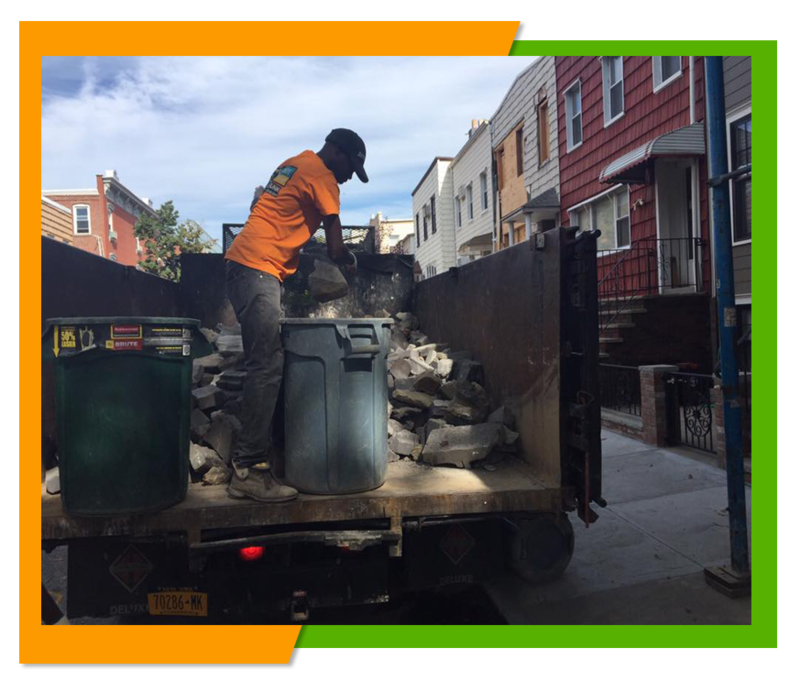 Our 24 cubic foot truck has plenty of space to hold both your yard and home debris, and if not we can arrange to carry more than one load. We even provide same day services for a quicker removal. Here at Flat Rate Junk Removal we will tell you our rates right up front. There are no hidden costs and you'll never pay more than you expect to pay. We offer you a price list of some of our charges right here on this website www.flatrate-junkremoval.com or you can give us a call and speak to representative to request a free estimate for our services based on your prices or to schedule an appointment to have that yard or other waste removed by our company. To learn more about the services we provide, get an estimate or schedule an appointment give us a call at 1-800-299-5865.